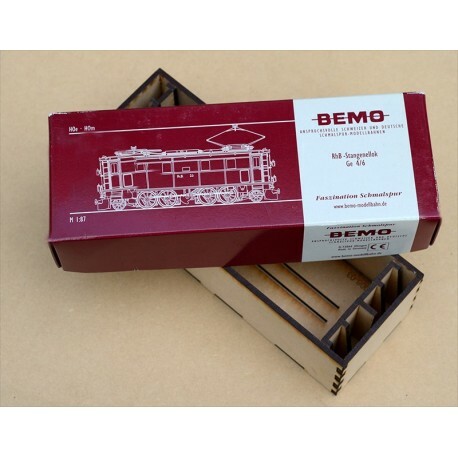 On a BEMO machine, once fittings are glued, it's no more possible to store it in the original case. 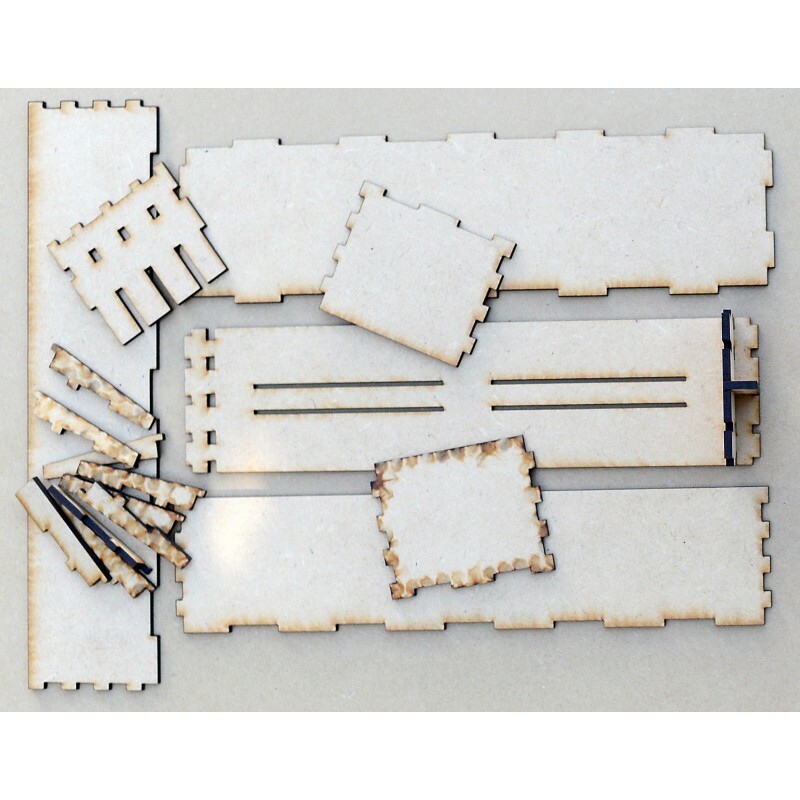 Our special boxes allow you to enrail the machine with fittings straight up and to store it with it's accessories in place. Our intelligent storage unit uses the original cover. The box's volume is the same, but the height is a little bigger. 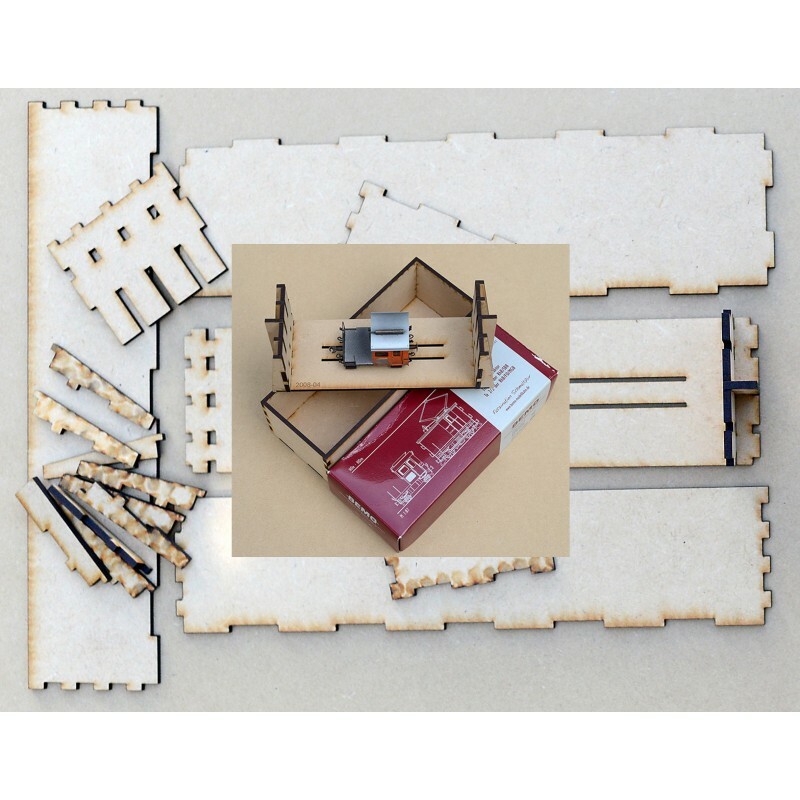 18 parts wooden kit. For original BEMO box sizes : 189 x 67 X 40 mm.